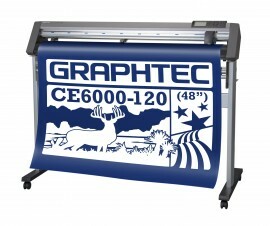 Graphtec 20″ CE LITE-50 Vinyl Cutter | Central Sign Supplies, Inc.
Small-to-medium production runs for heat transfer vinyl, decals, signage, and more! ARMS 7.0 technology ensures efficient, high precision print and cut jobs. 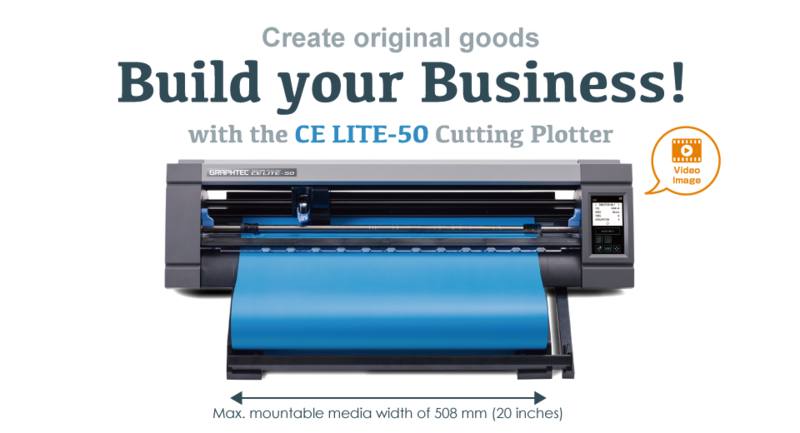 CE Lite-50 detects registration marks on the media to accurately align the position of the cutting line to the printed image on various materials including glitter and metallic. Maximum mountable media width of 20 inches (508 mm) efficient and convenient for you production. Saved cut-data on USB memory, USB offline barcoding automatically loads file, sets tool conditions, and processes the job at the push of a button – without requiring a PC connection. 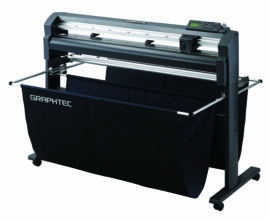 Continuously cut roll media designs up to 9 Ft, 10 In (3 m)* long using the included roll media stocker. 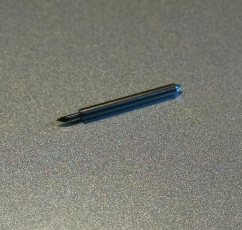 * Accuracy guarantee 1 m. depends on the cutting condition and media type. CE LITE-50 finds the edge of the media and aligns the position of the contour cut line to the printed image without registration marks. (Must use a standard size) The maximum cutting area can be utilized regardless of color or shading of media because registration marks do not need to be printed.